Lewis the Lion | Follow the amazing adventures of Lewis the Lion as he travels around the world. 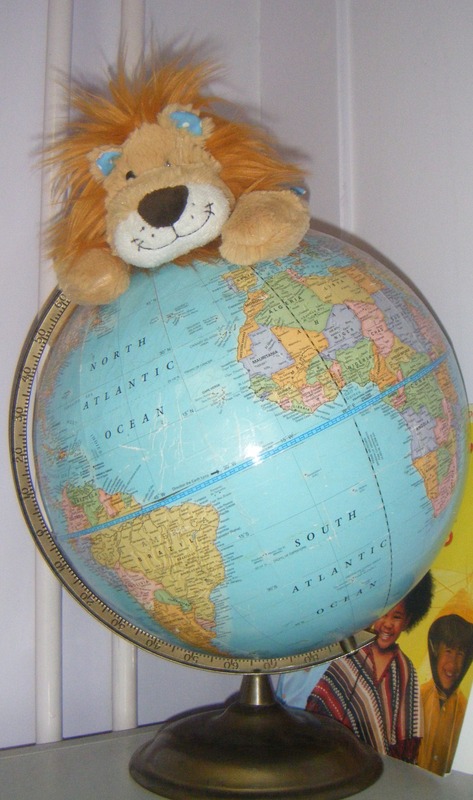 Follow the amazing adventures of Lewis the Lion as he travels around the world. and who loves to laugh! He believes that he is one very lucky lion! Lewis the Lion loves adventure and discovering new things. In fact he loves adventure so much that he’s about to leave his home in England to explore the “big, wide world.” Would you like to join him on his adventure? If you want to become one of Lewis the Lion’s fans, go to his Facebook page here. 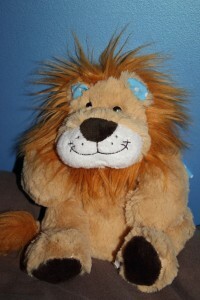 Lewis is a kind and friendly lion (although he can still growl fiercely if he needs to!). Lewis likes nothing better than meeting lots of different people and making lots of new friends. Although, we all know lions are loyal, don’t we? Well, even though Lewis likes going off on his travels, he is always extremely loyal to his friends. His mother has always said, “There is neither time nor distance between love and friendship.” Lewis doesn’t really know what she means but thinks he might start to understand when he goes off on his big, world-wide adventure. He thinks that it perhaps means that even if he doesn’t see his friends in ages (even weeks, months or years) when he sees them again, it will be like he has just seen them yesterday! Everybody’s heard the expression “as brave as a lion” but sometimes Lewis doesn’t feel all that brave. Sometimes, it’s hard to be courageous when you feel so nervous, especially when you’ve never done something before. However, because Lewis is such a clever little lion, he also knows that sometimes he has to face his fears and give things a go if he is ultimately going to enjoy something and learn lots of new things…and most importantly have fun along the way trying! Lewis has a hearty, little laugh. Do you want to hear it? Click here. You see, sometimes Lewis just has to be brave whether he likes it or not, because how else will he ever travel the world and have his adventure? How else will he discover about this beautiful world and meet lots of different people who speak different languages and have lots of different cultures? However, I’m sure with your help, Lewis is going to have the best adventure of his life and discover lots of new things. As Lewis travels around the world, I’m sure he’d like to help you too to understand about the place that he’s visiting. If you would like to ask Lewis some questions about a particular place or country, then Lewis will do his best to investigate and answer you on this blog. Have you ever visited Asia? I think your website is amazing. Guess what you are coming to my school on friday and I can not wait to see you. xxxxxxxxxxxxxx from beth. Lewis thanks you for your kind words about his website. It’s a work in progress but he’s enjoying sharing what he’s learnt on his travels so far. Lewis is looking forward to visiting your school too and meeting you before he sets off on his adventure. See you soon. I have been born in Asia in Pakistan in Peshawar. I have also been to Dubai when but I was very small then so I don’t remember anything. I might go again though. I ahve been to the capital of Pakistan which is called Islamabad. I know a landmark in Pakistan, there is a silk road, K2, in Pakistan, the Himalayas are in Pakistan and I remember 1 landmark in Dubai, Burj Khalifa, which is the tallest building in the world and also in China is the Great Wall Of China and in Hong Kong is a floating restaurant and also Queen Elizebeth and other famous people have been there!!! I hope you and Lewis are not scared on your adventures! Have lots of fun in your adventures and learn lots of languages for me please!!!!!!!!! P . S Can you tell me hoe to say hello, please, thank you and goodbye in Portugese and Asian. Thank you. My goodness, what a lucky girl you are too to have travelled to so many places! One day, Lewis would love to go to Pakistan too, especially as so many of his friends in school are from Pakistan. They’ve told him what a beautiful country it is and that he should definitely go there if he can. However, he may not be able to afford it on this particular trip but maybe another time? (Remember he’s just a little lion and he’s got his whole life ahead of him to go on more amazing adventures :)). Lewis is happy that you’ve asked him about Portuguese because that will be the next language he will try to learn on his world-wide language challenge seeing as he’s going to Brazil. He already knows one ‘magic word’ in Portuguese – ‘Obrigado.’ Can you find out what that means? Otherwise, look out to see Portuguese under the ‘Lewis Loves Languages’ heading which will appear in the coming weeks. 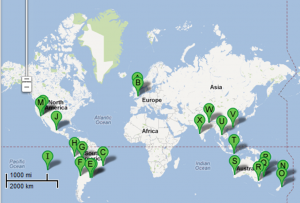 As for languages in Asia, do you remember that we said that there are lots of different languages spoken there? Is there any particular language that you’d like Lewis to investigate on his travels? In the meantime, he’d like to wish you ‘Kung Hai Fat Choy!’ which is Cantonese for ‘Happy New Year!’ as the Chinese celebrated their new year, the Year of the Dragon, a few days ago. Keep up the good work Roshaney! Yes, Lewis went to New York and it was freezing cold and even snowed a bit! I can’t wait to read about his adventures especially in South America. Perhaps you can pop in to Sri Lanka in July and bump into me and Jenny? Lewis would love to visit Sri Lanka too, especially as he met a wonderful man from Sri Lanka when he was in Dubai who told him what a beautiful country it is. However, if he does get to go there it won’t be until next January or February so he hopes you have fun on your travels too, Shirley along with your friend Jenny. He’d love to hear of your adventure too! Best wishes. Lewis has really been enjoying himself meeting so many children: so many clever children who already know so much about this incredible world in which we live Lewis thanks you for your well wishes. He hopes that you have a great time in Newquay. Lewis has never been there yet but he loves going to the sea-side and he knows that Newquay is a special place for surfers. Who knows, maybe you’ll go surfing too:) ? Let’s hope the sea is not too cold! All the best. Lewis I cant wait to your big adventure I cant wait to follow it.your website is the best website ever.Please reply to this message so I can follow you and your owner around where ever you and your owner go.Please can I just say that I hope you two have a marrvelous time for the trip see you soon love from lia nicole marshall. Lewis is really happy that you like his website as he’s tried his best to make it as fun as possible for children just like you! He hopes that you’ll have a lot of fun and learn lots with him as he travels around the world! Lewis also thanks you for your kind wishes: they are certainly going to help when he feels a bit nervous about his adventure Best wishes. Thank you Helen for such your kindness i had a lovley time today learning lots of nice things about lewis! I cant wait to see him again!!!!!!!!!!!! Yes, Lewis is lovely and soft, isn’t he? Let’s hope his fur manages to stay clean and soft on his adventure. Shukran! Do you remember what that word means and in which language? All the best. Yes, Lewis will be going to Australia and he’s really looking forward to it :). He should be arriving there in October so the weather should be warming up just nicely by then! (Do you remember that we said that when it’s our winter in the northern hemisphere, it’s summer in the southern hemisphere and vice-versa?). What do you know about Australia? Maybe you could tell Lewis some interesting facts? Best wishes. Thank you for those fabulous facts, Molly. Lewis will try his best to visit both of those places and find out more :). Keep up the good work! I really like your adventures! Where are you now Lewis? Thank you, Farrell! Lewis is still in Stoke-on-Trent trying to finish getting everything he needs packed for his big adventure. He hasn’t decided what his favourite country is yet: Lewis thinks that every country is beautiful for different reasons. He knows he’s going to miss England though! Best wishes. I loved it when you and Lewis came today to New Ford and I just have 1 question for you and lewis, which place are you and lewis most excited to go to? P. S thank you if you can reply to me. I hope youand Lewis have an amazing world wide adventure. P . S Yours and Lewis’ website is SPESTOPUFANTASEXCELLENT!!!!!!!! Shukran! Thank you, I had a lovely time when you and lewis visited us today!!!!!!!!!!!!! Are you going to Pakistan? I can’t wait to here about his adventure in Brazil. 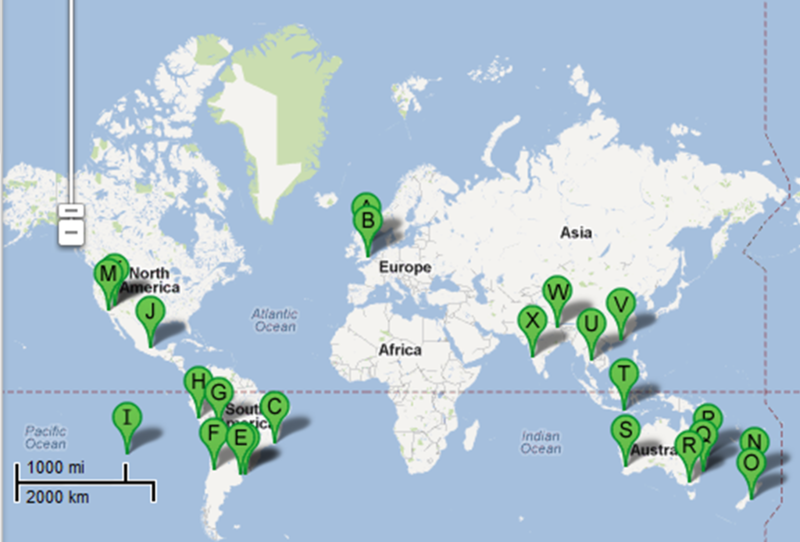 It must be so fun beeing able to travel around the world, seeing lots of diffrent places! I wish I could do that!!!!! Thank you ever so much for replying to me. I do hope some day that I can travel around the world, seeing lots of diffrent places. Until then I will follow Lewis on this blog. I hope Lewis has fun! Thank you, you are so kind and i just realised we are similar! I can’t wait to see the videos of Rio De Janeiro! When is Mardi Gra? This year, Mardi Gras or Shrove Tuesday (Pancake Day) falls on Tuesday, 21st February 2012. However, because it’s such an important event in Rio de Janeiro, the parties start from Saturday, 18th February. Lewis has his ticket for the Sambadrome, where he’ll see the spectacular carnival parade, on Monday, 20th February. He’s so excited! Lewis is really happy that you enjoyed his visit to your school. He loved meeting all the children and teachers at your school. You’ll have to find out what your teacher has to eat instead on Pancake Day because he said that he doesn’t like pancakes! Thank you for your kind wishes. Lewis is really grateful for your support. I am really happy you came to our school thank you when we visited the website in our class I just wabted to give Lewis a big hug and I did and I was so chuffed I hope you come to our school again and tell us about your trip to asia I really like you and Lewis you are like family to me thank you for coming come again soon and if you can please reply back to what ive just wrotethank you. No, unfortunately not on this adventure, although his travel companion, Helen (Miss Molloy) has been before. This summer she visited a beautiful city called Salamanca which is the oldest university town in Spain. (The equivalent of our Oxford or Cambridge). It’s a city where there are pictures of frogs everywhere. Lewis wonders if you can find out why? Have fun researching! Good luck! Don’t worry – frogs are a good luck charm in Salamanca because there’s one hidden on a very decorative door by the university. They say if you can find it, then you will be very lucky . Yes, Lewis speaks good French – he even lived in France for a bit and still misses his fresh baguettes in the morning :). Hi Helon thank you for telling us abot lewis the lion I really enjoyed it. What languages has lewis the lion learnt yet. I thought that lewis the lion was really cute. I hope you can come to our school again sometime. I hope you have a great time on your big adventure and so with lewis the lion. Lewis was really happy to meet all of you children too and tell you about his forthcoming adventure. He’s a clever little lion and can already speak quite good French and Italian. (He studied hard at school!). However, he’s a beginner at learning Spanish which is why he wants to concentrate some of his time in South America so that he can improve his Spanish as he goes! Hopefully, if his journey goes well, he’d love to come back to your school in a year’s time and tell you how he got on; wouldn’t that be good?! In the meantime, he hopes that you’ll enjoy reading about his adventure on his blog. On saturday I am going to the cinimas to see Big Miricle. It looks good on the adverts. What are you doing on saturday when im at the cinimas.? Bes wishes to your adventure. Lewis hopes that you enjoyed going to the cinema on Saturday. Lewis hasn’t been able to get on his blog recently as he’s just been so busy preparing to go on his journey. However, you’re the first to know that Lewis the Lion has now safely arrived in Brazil and he’s having a whale of a time! In fact he’s just about to visit Sugar Loaf Mountain now as it’s getting close to sunset in Rio de Janeiro. (It’s two hours behind here in Brazil). Wow, you have been busy! Lewis thanks you for all of your kind messages. He was really glad to meet the children in New Ford Primary School because he’d heard so many good things about you from your deputy head-teacher, Mrs Milner and he wasn’t disappointed. He noticed how good your listening skills were…and that is a really important skill, especially when you want to learn a new language! In answer to your question, yes, Lewis the Lion does speak French! Although, he realises that sometimes he doesn’t get things quite right but that doesn’t matter: the important thing is that he tries his best. Sometimes he realises that it’s OK to make mistakes as long as you have a go because you often learn a lot more that way anyway! Do you want to hear a funny story? However, luckily, Lewis the Lion soon realised that he’d misunderstood and had made a mistake. The shop-keeper wasn’t asking him “What perfume are you wearing?” but rather “What flavour would you like?” Silly Little Lewis! But how he laughed and laughed his hearty laugh when he discovered the mistake he’d made! Learning languages could be so much fun even if you do make mistakes along the way :). Lewis hopes you enjoy learning French too, Holly…even if you make mistakes! just yoghurts or some lemon juice. I don’t now what he eates at all. So Helen (Miss Molloy) I hope you enjoyed Friday and I hope you like your pacakes to haha. Thank you for coming to our school with Helen (Miss Molloy) and having such great fun at oour school I do hope you and Helen (Miss Molley) enjoyed talking with year 3 and 4 and talkinggg to usd aboyut were your going next abd were yout visiting in this world I do hpe you and Helen (Miss Molloy) will keep in touch through your adventure and please visit the website to learn more launguages http://translate.google.com/# it is such a good website tolearn more and more launguages. p.s HAPPY DAYS <3 I cannot see you. P.S. Lewis thanks you for the top tip. He will have a look at google translate and tell you what he thinks . Are you visiting Australlia.? If you are My mums friend went and she said ” It was so nice there are loads of king people.” So if you are going to Australlia be sure to talk to other people you don’t now BUT be careful they might not be a very nice person but atleast you’ll have Fun , Careing and buetiful young Lewis The Lion. P.s How old is Lewis.? Yes, Lewis will be visiting Australia in October 2012; he’s really looking forward to it, especially when he goes to visit Helen’s cousin in Brisbane and friends in Sydney, Melbourne and Perth. Thanks for letting him know that there are kind people in Australia. That’s good to know when he’ll be so far away from his family and friends in England! I’ve got to be honest, I’m not sure how old Lewis the Lion is but I do know that his birthday is the same day as mine, funnily enough! It’s on 11th March. Who knows how he’ll be celebrating it this year or which country he’ll be in? It could be Brazil, Uruguay or Argentina! You’ll have to check his blog to see what happens! Lewis says “Shukran” for all your kind messages on his website. Can you remember that word that he taught you?! P.S. When Lewis comes back to England in a year’s time, he’ll do his best to come back to your school for a visit…and a cuddle! I think lewis is about 3 years and my birthday is in the same month as yours mine is March 26th and I was born in the year 2003. I really like Mrs Milner aswell. I hope you and Lewis are very happy together that you are so exited about exploring different countries and I have a question. When are you going on a plane to your next stop? There’s some news hot off the press! Lewis’ first flight has been brought forward by a couple of days so he’ll leave on Sunday, 12th February. He’ll be flying from Newcastle upon Tyne to London Heathrow and then onto New York. He’s very excited but is very busy till then so please excuse him if he doesn’t answer your messages straight away. Question 1: What’s your fave film or movie.? Question 2: What’s you fave name.? What great questions! Lewis’ favourite film is the Lion King, of course! As for his favourite name, well he’s not so sure as there are so many beautiful names out there! And yours? Lewis wishes you all the best with moving house as he knows that it can be quite stressful at times…as he discovered when he had to pack everything into his rucksack! hiya im jasmin bakers best friend sophie shore is lewis ok in his travels? Thank you for asking. Lewis hasn’t started his world-wide adventure yet be he has been saying goodbye to more children in Stoke on Trent today. He leaves not this coming Sunday but the Sunday after. He’s very excited but has lots to do before he goes! He’ll keep you updated on his blog just as soon as he can! (Do your remember that we said that a blog is bit likes diary?). lewis is the most kind and cuddly lion ive bin to places like syprus turkey wales myorka and a few other places where has lewis bin? Wow Sophie! Haven’t you been a lucky girl to have travelled so much already?! Lewis has also been to Cyprus, Wales and Mallorca but he’s never been to Turkey. What interesting things did you see there? guess what i have gone totally mad aubout lions because of lewis the lion. hes so cute does he ever talk? have you heard aubout the never melting ice cream in turkey? Lewis is now laughing, Sophie because you like lions so much! He found out some really interesting information about lions on this website if you’d like to do some research? Of course he talks because how would he be able to speak so many languages! No, he doesn’t know about the melting ice-cream. Maybe you could tell him the story? Lewis was very happy to visit New Ford and meet all the children. He’s especially happy that you loved the languages bit too as that’s what he loves the most! Hopefully, you’ll be able to follow Lewis’ blog on his adventure and who knows, maybe he’ll come back next year to visit you all again? Now wouldn’t that be fun?! Thank you for your good wishes. You’ve asked some really interesting questions there! No, Lewis won’t be taking any of his own food with him, except maybe a jar of marmite! (It’s something you either love or hate and Lewis loves it! Do you like it?). So, he’s only going to be eating the food from the countries he’ll be visiting. Let’s hope he likes it but luckily for Lewis, generally he’s not a fussy eater so…fingers crossed! Wow! Haven’t you been lucky to have travelled to so many countries too, Alisha?! Lewis has been to Spain but he has never been to Egypt. He would love to go to Egypt as he has studied a lot about Ancient Egypt and would love to visit the pyramids and see Tutankhamun’s death mask in the Cairo Museum. Did you see the pyramids too? Lewis is sorry to hear about your bad experience in the sun. Thank you for the words of warning: he’ll make sure that he’s packed plenty of suntan lotion, that he wears a sun hat and that he stays out of the sun during the hottest part of the day. Oh my goodness! What a terrible time you had, Alisha! Lewis thinks that you must have had to have been very brave with such bad sunburn. Yes, sometimes putting on suntan lotion can be irritating but it’s so important that you protect you skin. Did you know that the skin is the body’s largest organ? How strange is that?! However, as Lewis mentioned in his last message it’s important to wear sun-cream, but then also to avoid the sun during the hottest part of the day (generally around midday) by either staying indoors or staying in the shade. Lewis hopes that you remember to protect your skin in the future so that you can have enjoyable holidays! Thanks for reminding, Lewis: that’s great advice . I was amazed discovering about your world trip…. I wished I had the courage too to do it….but I might not have the heart of Lion for it! Just another great man I know went on a world tour….he is not yet back!!! I wish you every success during your trip and if on your way you pass by the UAE well you are welcome to stay with me and I will be so happy to see you. It is simply the greatest idea of all! Lewis is very happy to hear from you as you were someone from whom he took great inspiration when he lived in Zelarino in Venice! How many languages do you speak fluently? English? Arabic? French? Italian? More? Wow! Lewis might call on your help during his travels. Furthermore, Lewis knows that you are an architect (Lewis knows that languages are so useful in so many jobs!) and he wants to know if you’ve been involved in planning some of those magnificent buildings in Dubai? Thank you for your kind words and wishes and yes, he would love to go back to the UAE: it is such a fun place to be! So, Shukran and Lewis hopes to see you again soon… in either Dubai or Venice! P.S. Lewis would love to hear from your friend who is also on his travels as he is always eager to take advice from people who know what’s what! If you can put them in contact, that would be great: grazie! What is your favourite kind of weather? What a great question! Well a bit like Lewis’ rucksack story, Lewis likes ‘Goldilock’s weather!’ Do you know what that is? It’s weather that’s not too hot, that’s not too cold; it’s weather that’s just right! Lewis remembers his favourite weather as being ‘t-shirt’ weather, during the springtime in Italy, when all the tulips were in bloom. The type of weather where there’s a lovely, crisp-blue sky above your head, the sun is shining and it just feels nice to wear t-shirt and shorts, without you feeling too hot or too cold. Have you experienced that type of weather before? What’s your favourite type of weather? If you were travelling the world, what things would you pack in your rucksack? Lewis was happy to meet you too! He’s currently in Newcastle upon Tyne, getting ready for his flight on Sunday. He’s got lots of preparation and running around to do before then to make sure that he’s ready for his big adventure! Lewis is currently in the Newcastle upon Tyne: it’s a big city in the North-East of England. Do you know anything about it? Maybe Lewis will give some information on this beautiful city when he writes his next blog?! Whereabouts did you go in Greece? It’s a wonderful country, steeped in so much culture and history. Lewis particularly loves all of the Greek myths. Do you know any? One of his favourites is the story of Theseus and the Minotaur set in a labyrinth on the island of Crete. Do you have a favourite Greek myth? Yes, Lewis has been to two Greek islands: Kos and Cyprus. Both of them were very hot and sunny! have you ever bin to flordia because my best fraind gemma wants to go there. No, Lewis has never been to Florida but he knows lots of people who have. Like your friend, Gemma, one day Lewis would love to go there so he can visit his friend, Mickey Mouse, in the Disneyworld Resort. However, I think he might have to save up some money before that though! Do you know any more words in German? Hi lewis, I just wanted to know if you had ever been to Finland??????????? No, Lewis has never been to Finland. Have you? Have you been learning about Finland in your class? Maybe you could tell Lewis some interesting facts about it? hey where is lewis going next? Hope you’re having a safe journey and are looking forward to getting to Brazil. I’m really looking forward to reading about your adventures and hope you have a wonderful time. I’ll meet Lewis when you get back and he can tell me all about his trip. P.S. Me and my dad are really going to miss you . Good to hear from you. Yes, Lewis has safely arrived in Brazil and it’s been non-stop since he got here. He’s already been to the famous Rio beaches: Ipanema and Copacabana; has seen the famous Christ the Reedemer statue which overlooks Rio; has partied to Brazilian samba music, been to a Brazilian primary school and is now off to visit Sugar Loaf Mountain! Yes, he’s quite exhausted! Hope you and your dad are well too. I hope you and lewis are having a fun days and a fun months travling around the world. I was wondering have you had a look at google translate yet.? If not be sure to check it out. I use google translate alot because I have a lot of things I would like to say in french or spanish or even porchageese if ive spelt that right. I hope you like your pancakes and be sure to have them on pancake day oh and I have mine with sugar and lemon juice. What do you have yours with.? Hi thankyou for your reply Helen! Where will lewis be traviling now? I hope he has good adventures! from Macey Goodwin. Hi has lewis got his bags packed for his next adventure? I hope he has good fun. where are you going now with lewis? i hope he’s got all the clothers he needs! i hope your adventures are FANTASTIC! love from Macey Goodwin. Hi helen how is lewis? is he getting ready for his next adventure? from macey goodwin. hi helen how is lewis on his adventure to newcastle? hi lewis how do you say bye in france? You say “Au-revoir” for goodbye in French. Lewis is now in Rio de Janeiro in Brazil and he’s enjoying the sunny weather and the carnival atmosphere. He’ll update his blog in the coming days so look out for stories of his adventures so far. P.S. Yes, Lewis can speak French and has been practising some with some of the guests in the hostel! Yes, Lewis the Lion remembers visiting St Paul’s Primary School and being very impressed at how well children knew their numbers in French with the help of their teacher and French Language Assistant, Coralie. What a lucky Grandad you have being able to go to France to fish! Yes, Lewis has been to France before because he lived there for a year in a place called Dijon in Burgundy. Dijon is a beautiful city and is famous for its cooking, its wines and its mustard (which is quite strong!). I have learnt alot today at school. Were are you and lewis in the world now? On holidays or Fridays and Saturday I go bed between 10:00 and 11:00. What time does lewis go bed.? Yes often it’s good to stay up a bit later at the weekend or when you are on holiday, isn’t it? When Lewis was still in England he usually went to bed at 8 o’clock on a school night as it is important that children get a good night’s sleep if they are going to grow up healthy and strong. At the moment, Lewis the Lion is in Rio de Janeiro in Brazil and it has been carnival so he has had quite a few late nights recently as there are many parties in the evening where people listen to samba music and dance the samba too. He’ll try to tell you a little bit more abut the samba on his blog in the coming days. Lewis the Lion is happy that you are enjoying his website: just as long as you make sure that you still get a good night’s sleep because that is very important if you want to be healthy and feel ready to learn lots of new things at school the next day. Gracias, Warren. Lewis the Lion is certainly having the trip of his lifetime and can’t quite believe that he’s in Peru already! Stamer Bear from Stoke Minster and Elli the Elephant from Hanley St Lukes are about to go on a two week adventure in Sri Lanka….have you got any advice on what to pack in a monsoon type climate? Lewis the Lion highly recommends that you take as many waterproof clothes as you can. After a recent bike-ride in the pouring rain, he also thinks having a friend with an oven to dry out wet trainers is also an advantage – just make sure you take any insoles out first! He hopes that you all have lots of fun in Sri Lanka and then he wants to hear all about it too! P.S. Don’t forget the insect repellent either! Looking forward to seeing some pics from NZ and Oz! Hope he enjoyed the Barrier Reef and is looking forward to the trek to Ayres Rock. Looking forward to him telling us all about it when you both get back to Mecca (Newcastle, in case you were wondering!). Me, Mik and little Matthew! Lewis the Lion still has so many stories he’s got to share with you first, including all about his Californian adventure. He’s been uploading photos now so he can tell you all about it! He loved New Zealand and is having a ball in Australia. Tomorrow he goes in a 4×4 across the beach on Fraser Island, Australia’s Gold Coast. He is a very lucky lion indeed! He’s looking forward to seeing all his friends again back in England in a few months’ time and especially to meeting and giving baby Matthew a hug . I would like to no what Brazil is like in Rio because I realy want to go and look at that bright blue sea. And what day did you fly????? Lewis the Lion is happy to hear from you and hope’s that you are well. He loved his visit to Rio de Janeiro during carnival time in February. You can read all about his adventures there in the Archives for March on the homepage or otherwise, just enter the word Rio or Brazil on the search box on the homepage which will take you to his posts on Rio de Janeiro. He has many happy memories from there such as the carnival, the beaches and his visits to Sugar Loaf Mountain and Christ the Redeemer statue to name but a few. If he can, he’d love to go back there in 2014 for the Football World Cup or who knows, perhaps even the next Olympics?! However, he’ll have to get saving his money again, that’s for sure! Glad you like Lewis the Lion’s blog. He got his name because quite simply, that was the name that they’d given him in the shop I bought him! I also like the alliteration of Lewis the Lion and Amazing Adventures. Hope you keep on enjoying his stories. He still has a month and a half’s worth to catch up on :). lewis, your adventures look amazing! helen, was brilliant to see you, even under slightly surreal circumstances. Thank you, Jill! It was lovely to see you too and as Lewis says here, ‘There is neither time nor distance between love and friendship,” even with friends that you haven’t seen in nearly 20 years! Lewis the Lion thoroughly enjoyed his Year 5 trip to Llandudno too, Ruby! It was great to breathe in that sea air, under a warm sun (even if it was a little windy!). Sorry I have not spoken for a while I have been to busy playing on lots of different websites. I was so excited in year four when you came for a visit but this year I am in year five me and my class have grown lots since you last saw us. Sadly we don’t see Mrs Milner so often because she still teaches year four but me and my class mates are now in year five soon we will be in year six. But Mrs Milner is still an AMAZING and CARING teacher. Our headteacher Miss Ashley has had a little girl so she hasn’t been in; and Mrs Milner is taking over as a headteacher now. When Miss Ashley comes back Mrs Milner will be a Deputy head again. I hope you send me an email back and I hope you come back to our school soon. How lovely to hear from you again! Lewis the Lion is so glad that you’re continuing to be happy and work hard at your school. Isn’t it funny what can change in a year? Lewis the Lion perhaps knows that more than most little lions! However, he’s thrilled to hear of all the happy news at your school – what an exciting place to be and with such great teachers too. How lucky you are! Lewis the Lion has been very busy since he got back to the UK from his world adventure and as soon as he gets a chance, hopes to finish off his stories so you can find out what happened to him! School holidays are usually a good time to catch up, aren’t they? For now, he wishes you a very happy summer holiday too – not long now – only 4 more days to go! Thanks Lewis oh and Thanks for the great team leading Miss Molloy you and lion where the best leaders I’ve met. Good stuff! He’ll look forward to seeing you on the Formula 1 track in years to come :). What do you enjoy doing when you’re not travelling? Do you collect anything special? I collect number plates. How old is Lewis? Thank you for your message. Lewis the Lion also enjoys collecting things. In particular, he collects fridge magnets from all of the places that he travels to. He found that it was the easiest souvenir to carry when he was on his adventure around the world! He’s just arrived back from Qatar yesterday (the stories will follow in due course!). He thinks that collecting number plates is a great idea. He took photos of different number plates on his travels too – he found it fascinating that there are so many different ones from around the world! When Lewis the Lion is not travelling, he enjoys going to school with Helen as she’s now teaching in an international school in Dubai. He loves learning from lots of different children from all over the world. Lewis the Lion sends his best wishes to Canberra and Australia: he loved your country on his travels. A Yoga-tastic way to end his world journey!